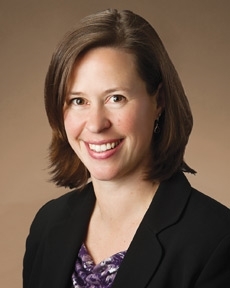 Tara Masters is a senior vice president and chief operations officer for Tompkins Financial Advisors. She is responsible for the administration and management of the organization's operations. Tara joined Tompkins Trust Company in 2000 following four years in trust and estate administration at a Rochester-area community bank. Since joining Tompkins, Tara has held several positions within the Trust Department, including Retirement Specialist and Trust Operations Manager. Tara previously served as President of the Trumansburg Central School Foundation, President of the Community Arts Partnership of Tompkins County, Inc. and its predecessor, The Arts Council for Tompkins County, Treasurer of the Taughannock Soccer Club, Board member of the Food Bank of the Southern Tier, as well as a member of the United Way of Tompkins County’s Allocation Committee and fundraiser for the Hospicare and Palliative Care Services of Tompkins County.